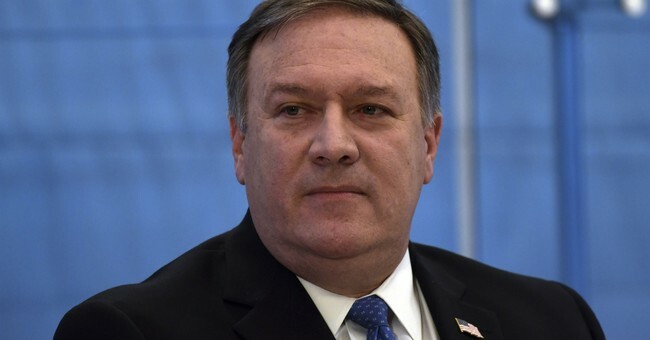 CIA Director Mike Pompeo will face a vote from the Senate Armed Services Committee Monday evening, which will determine whether his nomination for Secretary of State will proceed to the Senate floor for a full confirmation vote. A number of Democrats and Republican Rand Paul are vowing to vote against him. The White House has taken notice. Two Democrats, Senators Joe Manchin and and Heidi Heitkamp, are onboard. "A majority of Democrats continue their pointless obstruction to score cheap political points with their base as a willful attempt to undermine American diplomacy," White House Press Secretary Sarah Sanders said during the daily briefing Monday. "At some points Democrats have to decide whether they love this country more than they hate this president," she said earlier during an interview with Fox and Friends. President Trump has also weighed in. Ten editorial boards at major newspapers and online outlets, including left leaning publishers like the Washington Post have called for Pompeo to be confirmed. Editors cite his extensive experience in Congress, at the CIA and during his time in the military. They also argue his nomination comes at a particularly volatile time.